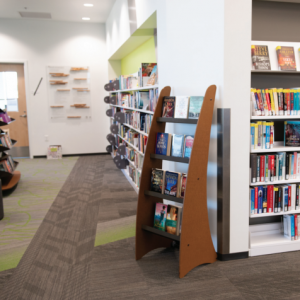 Our Caps are custom designed to give traditionally unusable space back to the librarians. 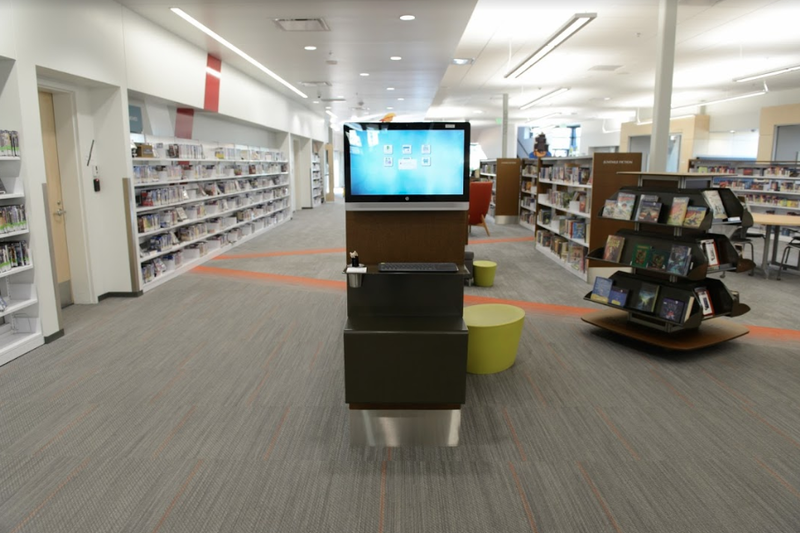 They occupy an extremely small but highly visible footprint, offering space for finding online catalogs and internet browsing in addition to interactives, graphics, and shelves where merchandising can be done. 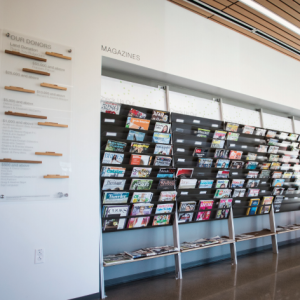 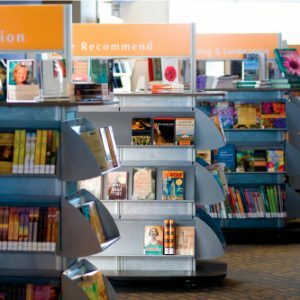 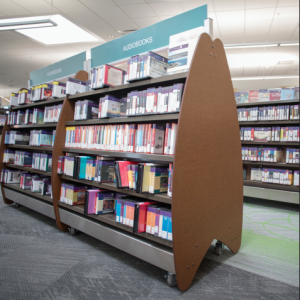 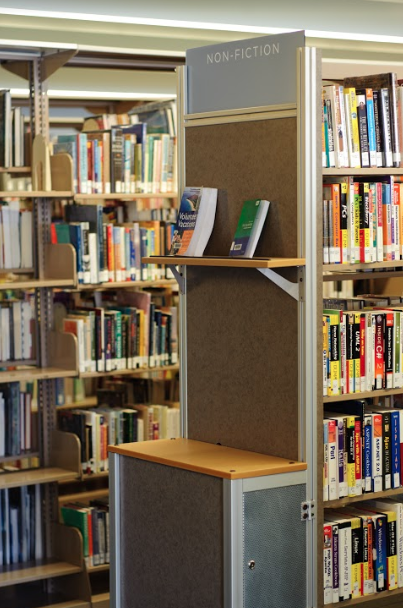 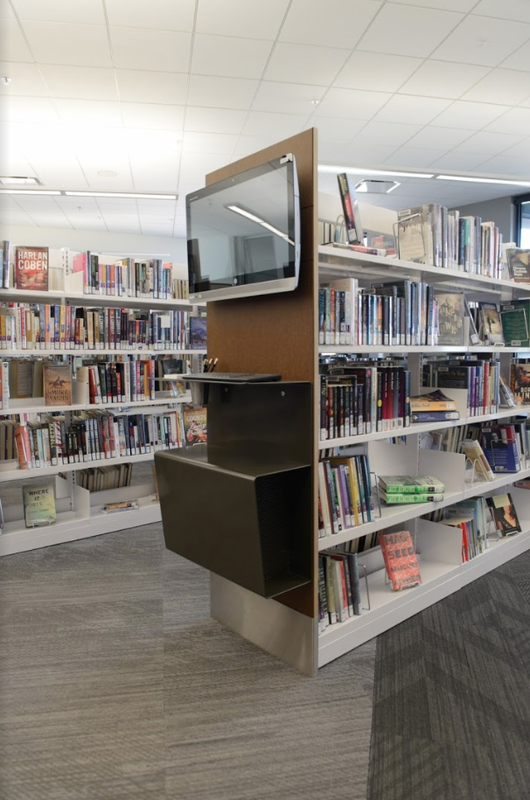 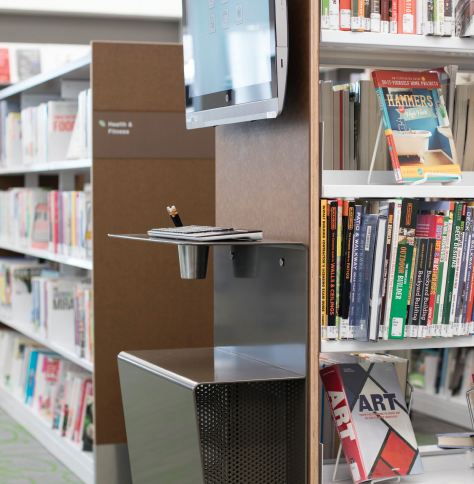 The Caps are custom pieces that offer unique esthetic decisions that enable library staff to better outfit their spaces while giving their patrons more awareness in their searches. 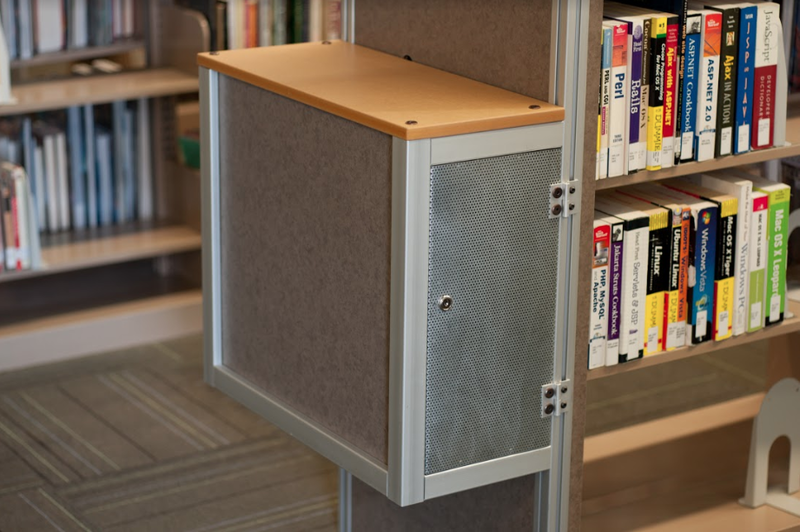 Our Caps are almost always customized to meet the individual needs of specific library environments.